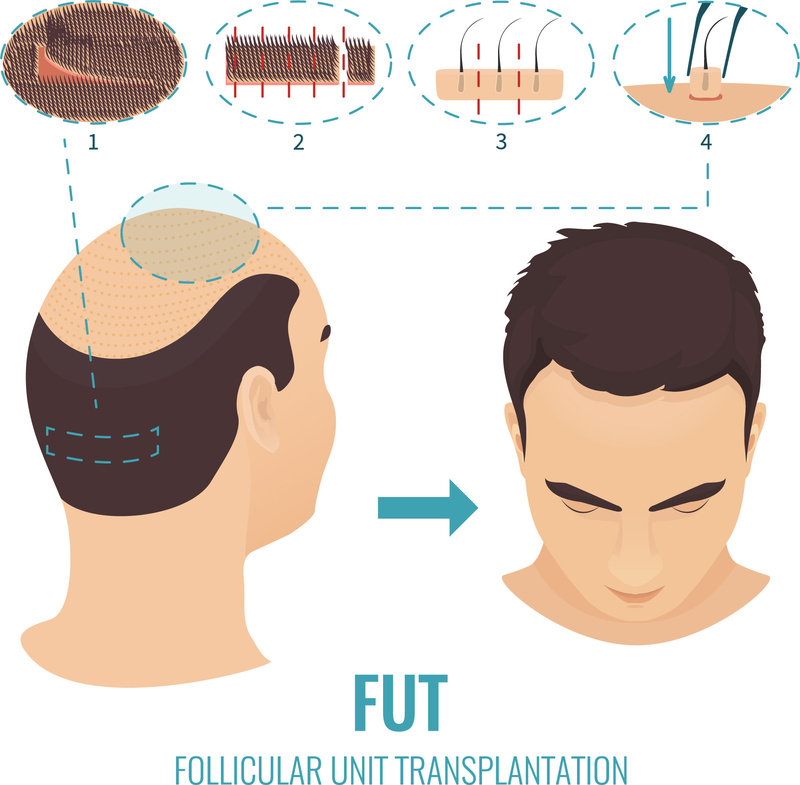 In Follicular Unit Extraction (FUT), donor hair is harvested from the sub-occipital area of the scalp (on the back of the scalp, just above the neck). For most people, hair in this area is resistant to the hair thinning DHT hormone, which explains why hair continues to grow in this area. The donor hair is extracted in a thin, single strip from which individual follicular units are removed with the help of magnification. Small, circular blades (‘micro-punches’, less than 1mm) are used to create a site in to which the follicles are then transplanted. The remaining excision site is closed using an advanced surgical method known as ‘Tricophytic Closure’. This technique tightly aligns the margins (edges) of the excision, resulting in a very thin scar that’s difficult to see even with a short haircut. The entire procedure is done under local anesthesia. Most procedures result in the transplantation of 1,800 to 2,500 follicular units and can take several hours. However, patients rest comfortably, and are able to nap, watch TV or movies, listen to music or chat with the staff.